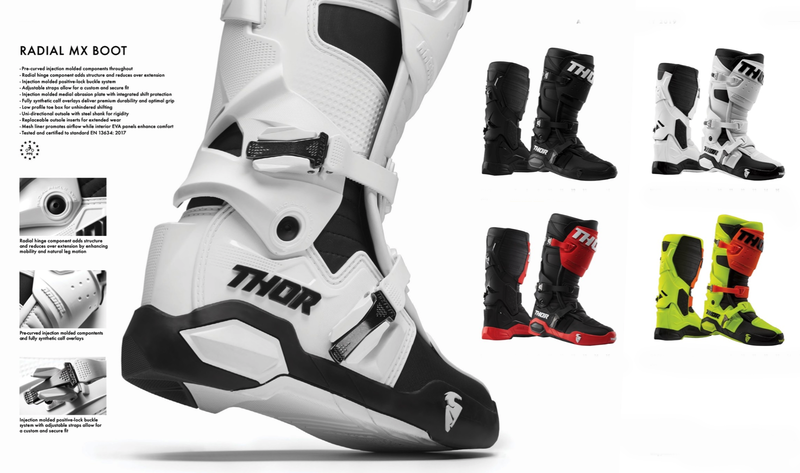 Thor released the new Radial MX 2019 boots, and these are raising the bar for the entry level motocross boots to a new high. 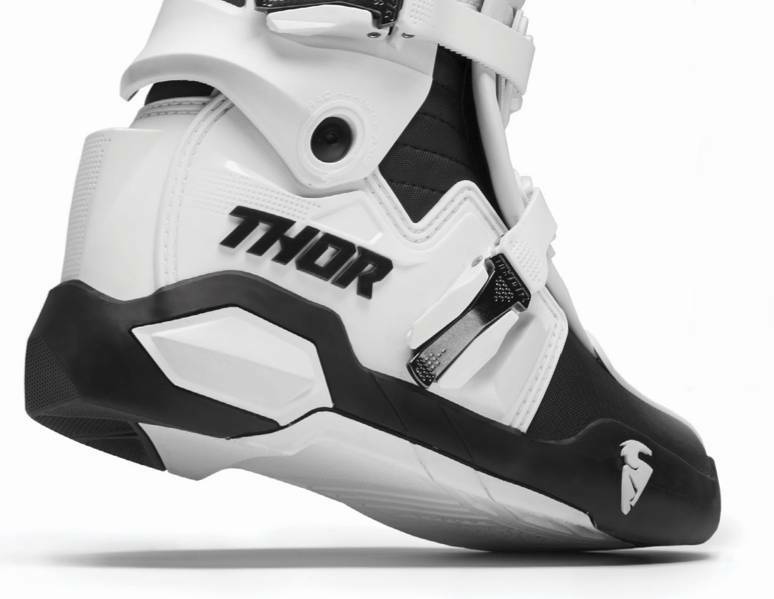 Thor just released their new Spring 2019 collection and it's full of awesomeness. Available in 4 colors, and with the uni-directional modern-shaped sole with replaceable inserts and low profile toe-box we can't wait to get our feet into these! 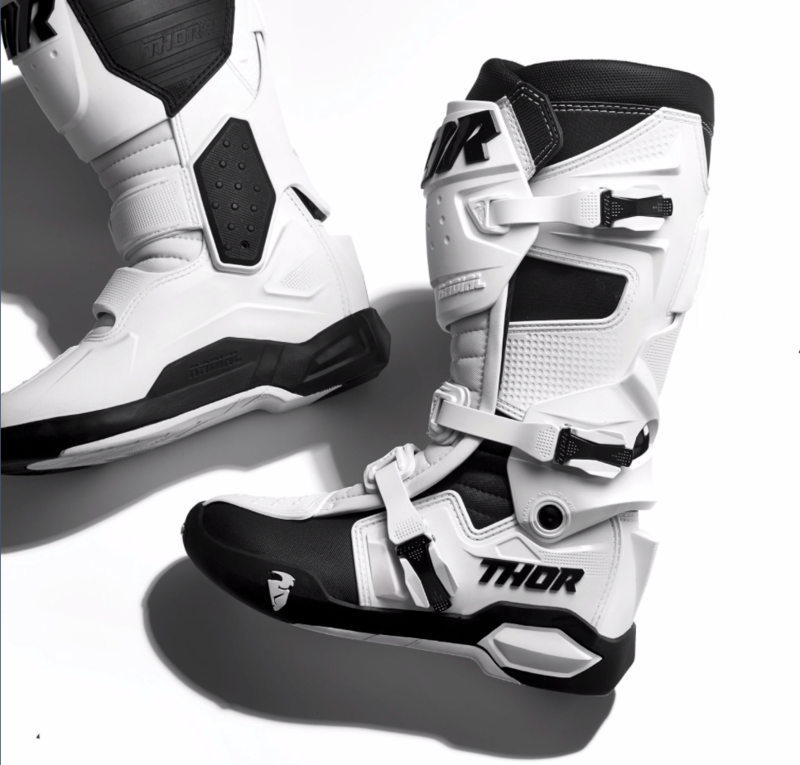 One thing that really stands out, is the Radial Hinge known from high-end boots like Alpinestars Tech10 and Sidi's Crossfire 3. This Hinge provides maximal movement and reduces over extension of the ankle.